This day is a special Shabbat, so be sure not to do any ordinary work (at a job or housework/chores), and gather together with other believers. Focus on prayer and worshipping God. Go outside at sundown (if you are not already there) and sound the shofar. 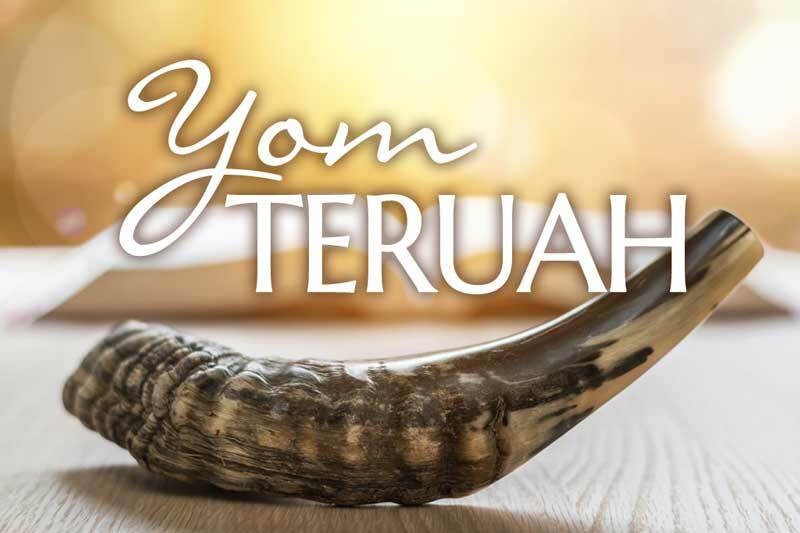 There is an official blast for this day called a “teruah”, but it is hard to sound. It sounds like a fire alarm and requires skilled shofarim (shofar blowers). For those of us less experienced, many like to sound three simple blasts into each of the four directions. This will equal 12 blasts total (the number for divine government), prophetically symbolizing the coming of the King and the establishment of the Kingdom of God in our area. Yom Teruah is also a good day to present to God promises yet unfulfilled because this is a time of awakening faith in our spirits as well. This day is often referred to as Rosh Hashanah, which translated means “Head of the Year”. This name of the feast refers to the Jewish civil calendar, which begins on this day. However, this is not the beginning of the Biblical New Year, which comes 13 days prior to Passover (see Exodus 12:1-2). On another note, non-Jewish translations of the Bible often refer to a “shofar” as a “trumpet”. They are not the same. There are texts in which ADONAI commands the construction and use of a trumpet. There are also texts in which a shofar, or ram’s horn, is blown. This feast includes the blowing of a shofar, not a trumpet. In contemporary times, the long shofars we sound are not ram’s horns at all, but horns of Kudu antelope from Africa.